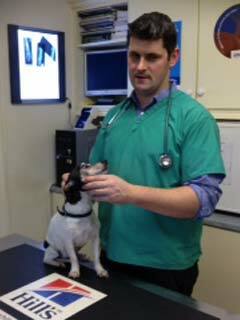 Lodge Veterinary Hospital (LVH) was established by veterinary surgeon, John Corrigan, in 2006. 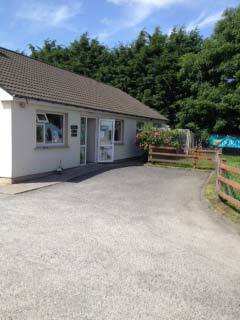 It is a fully accredited small animal hospital, dedicated solely to companion animal healthcare. Our premises are approved by the Veterinary Council of Ireland and adhere to the highest standards for Companion Animal Medicine and Surgery. In addition to meeting these standards, we continually strive to exceed them through training and constant re-investment in our surgery. Our veterinarians undergo regular professional training and development to keep up to date with the ever-changing world of veterinary medicine. We never stop trying to provide the highest level of pet care and client service possible. All of our staff have pets of their own. We try to do for your pet what we would do for our own if they were unwell. J.P. is originally from Achill. He qualified from U.C.D. Veterinary College in 2002. He worked in a number of practices in Ireland before establishing L.V.H. in 2006. He has an interest in all pets and all aspects of veterinary medicine and surgery but, particularly, orthopaedic surgery and ophthalmology. He is currently completing a Small Animal Surgery module. 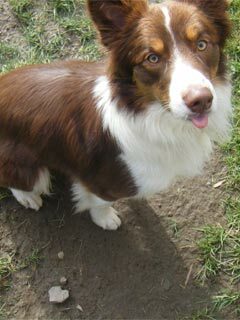 Fodhla, his much-loved and loyal neutered male Border Collie, can be found in L.V.H. with him everyday! Mairead, J.P.'s sister, qualified from U.C.D. Veterinary College in 2008. She also worked in a number of practices in Ireland before returning to her home county in 2009. She has three Border Collies - Rex, Max and Bella as well as four cats - Peig, Bruce (a.k.a. The Boss), Jackie and Mickey-Joe. She enjoys both medicine and surgery, especially soft-tissue surgery. 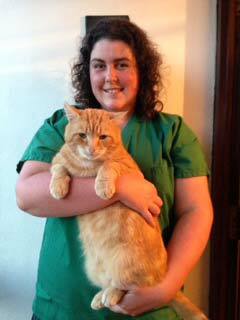 Bridget qualified from Athlone Institute of Technology with a degree in Veterinary Nursing in 2012. She is also trained and qualified as a groomer. She has two dogs - Ryano and Freddie along with her cat Ginger. She is also a local girl, coming from Ballycroy. Fodhla is an intelligent, friendly and playful Collie. John rescued him as a four week old puppy. He had severe rickets that he could not stand on his front legs. With careful nursing, he made a wonderful recovery. 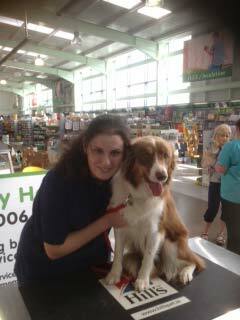 Fodhla loves coming to work every day and is great at introducing new dogs to the kennels. He loves taking pigs ears from the shop! He also attends football matches with Mairead! We emphasise preventative medicine and good pet healthcare, vaccination against fatal diseases, worming and parasite control, and good dietary and lifestyle management. The family pet is an important family member with access to its own health insurance plan! As vets and pet owners ourselves, we understand more than most the strong emotional attachment that bonds us to our pets. With this in mind, we aim to deliver the very best in pet healthcare. The best advice that we can give is simple. A healthy diet, good exercise levels and a happy environment lead to a happy, healthy pet and a happy pet owner. At LVH, we would only be delighted to help make this happen. We cut, trim or style dogs of all sizes, from Cavaliers to Golden Retrievers. Regardless of the breed of dog or the type of style, we will try to meet your every requirement.